You’ve heard it a million times - too much exposure to the sun is bad for your skin. It accelerates aging, creates inflammation, leads to dark spots and wrinkles, and it can be a one way path to the C word....cancer. Okay, so what exactly should you do to avoid sun damage? If you are ready to get serious about protecting the even coloring, smooth texture, and radiance of your skin, making this one small adjustment will is where to begin. Start by thinking of sunscreen as your last line of defense. That’s right. Keep applying your favorite SPF, but do it in addition to creating additional layers of protection. The goal being, that your sunscreen will never be solely put to the task of keeping you from sunburn. There is a storm brewing about the efficacy of some mass marketed sunscreens. Tales are being told by well meaning parents that ended up with devastating sunburns on their children, even after a day of dutifully reapplying. 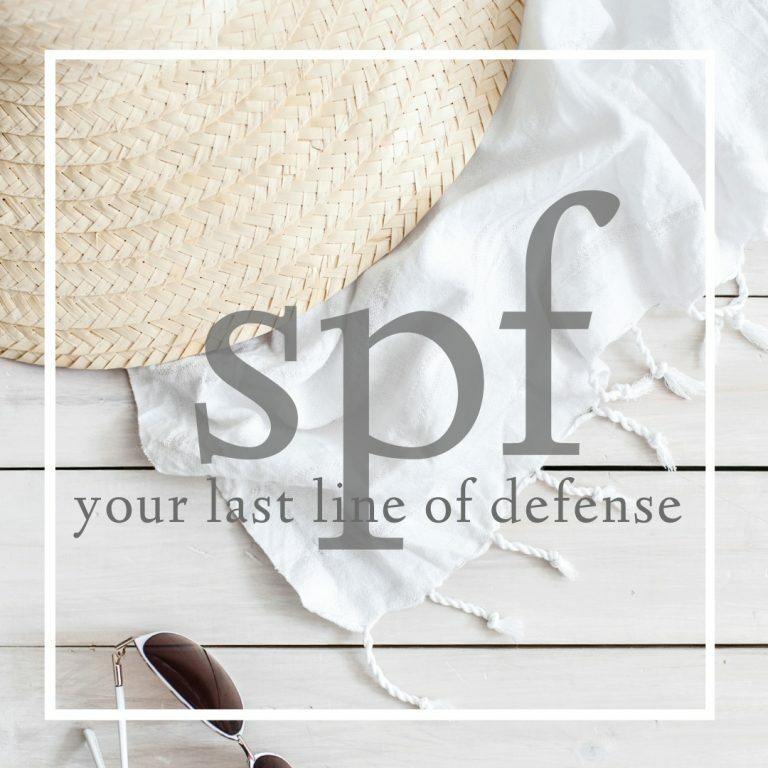 And while I could write a novel on the common errors of application and the myths of a 100+ SPF, this one small trick of adding layers of defense will leave you protected, even if you change nothing else. The fashion aspect of UPF swimwear and clothing has greatly improved in the last few years. Check out Altheta, Coolibar, and Cabana Life for some of my faves. There is no better way to avoid premature aging than to keep the sun off your face. Sun hats with UPF ratings are great, but even a straw cowboy hat or a wide brimmed pool hat will create the shade you need. Pick up a few and keep one stashed in your car for those times when you weren’t prepared for the weather to be so warm! Look up the times of day that the UV rays will be strongest in your area and be mindful when making your plans. Schedule your pool time, hike, or outdoor event for outside of these super sun hours. For more on common sunblock application errors check out this article by Environmental Working Group, and for further resources on stylish sun protection, skin tips, and faux bronze inspiration check out my insta feed or reach out with your questions!